Suffering a blow to the head is always cause for concern. A forceful impact can jostle the brain inside the skull, potentially leading to bruising, bleeding, and other serious complications. 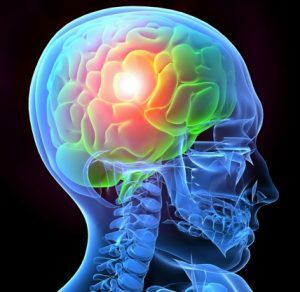 There are many types of traumatic brain injuries (TBIs), and they can vary greatly in severity and symptoms. Unlike other impact injuries, a TBI may not be apparent right away. In fact, some traumatic brain injuries do not manifest symptoms for days or even weeks after they occur. 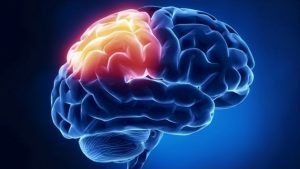 In this blog, we’ll discuss a few of the subtler signs of a TBI that indicate you should seek an immediate medical evaluation. Some people are hesitant to visit the hospital after a head injury because they fear the cost of medical care. But if your TBI was caused by another person’s negligence or intentional act, you may be able to recover compensation for your losses—including healthcare bills, lost income, and pain and suffering—by filing a personal injury claim. If you’re not sure how to initiate the claims process, turn to Charnas Law Firm. Attorney Scott Charnas will assess your situation for free and help you determine the most strategic way to proceed. Our law firm works with a team of medical and financial experts who can investigate your case and provide testimony regarding the severity of your injury and the total cost of care. Call 212-980-6800 to schedule a free case evaluation with a brain injury lawyer in Massachusetts. Headaches are a telltale symptom of TBIs, especially for those who rarely suffered from them prior to their accident. TBI-related headaches might be sharp or throbbing, and they can develop sporadically and disappear just as fast or persist for hours at a time. Migraines, tension headaches, and cervicogenic headaches are all associated with TBIs. If you vomit or feel nauseous after suffering a blow to the head, visit a doctor immediately. Nausea and vomiting may be indicative of a concussion or more severe brain injury. Dizziness accompanied by lightheadedness and/or blurred vision warrants medical attention, especially if it arises following a forceful impact. Poor balance and coordination are also signs of a TBI. All TBIs affect cognitive functioning to some degree. As a result, common symptoms include poor concentration and difficulty remembering simple facts. People with traumatic brain injuries may find that they are suddenly sleeping more than usual, or they may struggle to fall asleep at all. Fatigue and irritability are common among TBI patients who are sleep deprived. If you sustained a TBI through no fault of your own, you may be entitled to compensation for medical expenses, missed work, mental anguish, and other damages. To determine if you have grounds for a claim, contact a personal injury lawyer at Charnas Law Firm. Attorney Scott Charnas represents clients throughout New York and Massachusetts. He has resolved hundreds of personal injury and wrongful death cases, many of which involved catastrophic injuries such as brain trauma, severe burns, and spinal cord injuries. Call 212-980-6800 or fill out our Contact Form to schedule a free consultation with a personal injury attorney in Massachusetts.